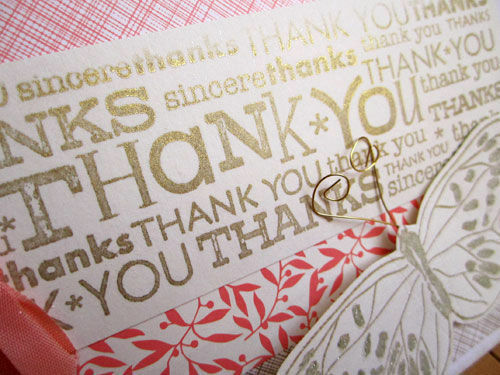 I’ve made Thank You card sets for family and friends when they’ve gotten married or had a baby. So of course, I had to handmade thank you cards for my own shower! Sorry, no step out images this time, just the beautiful final shots of these fun cards. Thank You again to those who attended and for all the wonderful gifts!!! And the countdown continues….2 months from today!